Every person that has ever been born on this planet functions according to a particular set of thought patterns. How a person believes, perceives reality and forms their identity is derived from the thoughts that are contained within their mind. A person’s though life is very powerful and some people believe that they can determine the quality of their lives with the use of positive or negative thoughts. This type of thinking is associated with a belief that is known as the law of attraction. The law of attraction is a simple belief that like attracts like. In other words, the type of thoughts that a person manifests within their mind will determine the type circumstances that they will manifest into their lives. It is a known fact that people only act according to what they think and believe. If a person thinks in a negative manner their behavior will be negative. If a person has positive thoughts their behavior will reflect this belief as well. The law of attraction goes a bit deeper than this. 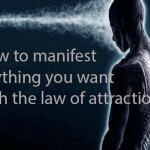 The Law of Attraction: How it works? People who support the laws of attraction believe the universe has positive and negative energies. These energies are supposed to flow through the universe in certain patterns and wave lengths. 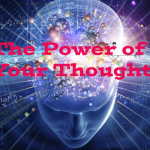 When a person chooses to think positive thoughts they will be able to tap into positive wave lengths and when their mind becomes filled with negative notions they are tuning into negative forms of energy. 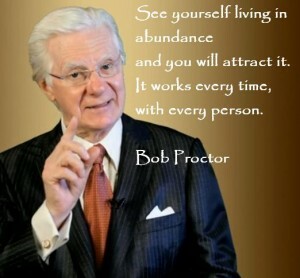 Some people believe that there is a secret to the law of attraction. What is the secret? The secret law of attraction simply has to do with a person obtaining whatever they want out of life simply by believing that they will receive it. People who desire financial success, good relationships and a good life can simply obtain these things by believing that they will eventually get them. A person who is not able to obtain these things will not receive them because they simply do not believe that they can acquire these positive attributes in life. This is the secret of the law of attraction and positive thoughts are what makes this secret possible. How can a Person Generate Positive Thoughts? Many people probably wonder about how they can influence the outcome of their lives with positive thoughts. The way that people can generate positive thoughts is by realizing how the human brain works. Most people are probably not aware of the fact that negative thought patterns tend to restrict the choices that they have in life. When a person thinks negatively they tend to focus only on a problem or what is wrong. Honestly, a lot of people can’t get beyond their negative belief patterns. Negative thinking forces people stay stuck on a problem instead of trying to find different solutions to resolve a negative situation. On the other hand, when a person thinks positively their minds can find different ways to resolve their issues because they’re not just focusing on what is wrong. People can generate positive thoughts by connecting their mind to memorable, joyous and pleasant experiences that they had in life. Techniques such as meditating, writing about positive experiences and having fun generate positive thoughts for people. 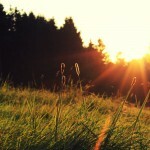 Situations such as love and romance also generate positive thoughts as well. Positive emotions also usually generate positive thoughts. Once a person consistently develops a pattern of positive thoughts they will routinely think in a positive manner. 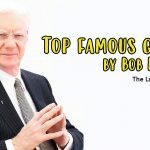 The secret law of attraction might not always work simply because there are other factors that determine the outcome and circumstances in a person’s life. So not everything that affects a person is based off of what they think or believe. Even though this is the case, the secret or the law of attraction could be used to help people to achieve some good things in life that all people desire.